1. Call lead within 24 hours to introduce yourself and outline our processes. This is when you will send them the Buyers Form and have them get pre-approved if they are not already. Thanks so much for reaching out and for considering 6th Ave Homes for your real estate needs! Our team is excited to help you find your dream home. If you could please visit the link below. On it you will find a simple form that we use to gather more info on exactly what you are looking for. Please be as specific as possible as it gives us an idea of how we can best help accomplish your real estate goals. 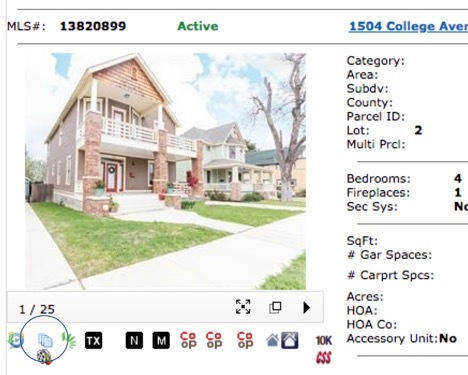 It also walks you through the 6th Ave Homes buying process and gives you a big picture view of what to expect. Once you fill out the form and have obtained a pre-approval from your lender we can schedule the "Meet Up". It is important with this call to establish where they are at with their financing. You need to leave the convo either knowing who their lender is or directing them towards our reccomended lender. Are you currently working with a Lender? If so have you been pre-approved? Are you interested in talking w/ someone we have great experience with? A) Fill out the Buyers Form and reiterate that they need to be as specific as possible. B) Get pre-approved and have all of their financing in order. Before we start looking at houses we need to make sure they are good to go and have a clear idea on what they can afford. Review criteria on Buyers Form and set up an MLS search to know what homes currently listed meet their criteria and research other neighborhood options. Search for and book 3-5 potential homes you can show them. 2) Hit the "+ New" button in the top left. This will pop open a new window. 3) Enter the name of your Buyers in the "Name" field. Select the options "Purchase" and "Residential". Then select the "BUYING FORMS" from the template drop down menu. Hit "Save". This will close the pop up window and take you to Buyers transaction that you just created. 4) Select the "Parties" tab in the tob menu section of your transaction window. 5) Hit the "+ New" button in the top left. This will pop open a new window. 6) You will see a drop down tab that says Select One. Chose "Buyer One". Fill in all the information you can. This will save you from having to enter this down the road. Make sure to select "Save As Contact"
We also reccomend looking the buyer up on facebook and downloading their profile picture. You can upload their picture where it says, "Add Photo". 3) Explain Team Roles. Transaction coordinator. If other agents will be showing. Go over team bios. 4) Get to know them and ask about what is prompting the move. Try to hone in on their dream location and dream home. 5) Go Over their Buyers Form. Discuss the form and dream. Ask if there is anything you are missing on the form that is a "Must Have". 6)Financing - Ask them about financing and pre-aproval. Anything we need to know? 7) Make a Copy of their DL. Just let them know that it is brokerage policy to keep on file. 8) Get IBAS & Buyers Rep Signed. A good way to set this up is, "Lets get paperwork out of the way, so we can dive into looking at homes"
10) Schedule a date to go see see the properties. 1) The Process - Go over the buyer steps. 2) Timing - How soon do they need to move? Explain that it will take 30-45 days from the time they find a house to close. The seller may also need to stay in a house longer and require a lease back. 3) Capacity - Explain that you work with other clients and you will do your best to respond quickly, but will not always be able to drop everything or respond immediately. 4) Showings - Showings will need to be scheduled 6-48 hours in advance. Sellers must approve showings and our times may be turned down. 5) Targets - They will need to widdle down their potential targets. No more than 4-5 houses at a time. No more than 2-3 showings at a time. 2) Click "Matrix". This will open a new window. 3) Click the "Search" tab up top -> "Residential" -> "Quick Search"
4) In top left area, unclick all excpet "Active"
7) Click on "results" button. This is down in the bottom left area. This will take you to a new page with all of the active listings that meet your criteria. 8) On the left side you can select any property that you think is a good fit. 9) Select "Save". Then "New Saved Search". Name the search. 10) Then select "Create New Contact". Enter name, email, and then "Save". Then "Save" again. 1) Update E-Key app before you leave (in case there is no service). **If have issue and need to call Supra, your ekey # is at the top of your app. Open all doors and turn on lights. Remind buyers to act as if they are on camera! Discuss pricing outside of the house. Once done, ensure all doors are locked and lights off. 5. Email Feedback to Client. Recap what all was seen and thoughts discussed. Help them analyze the pros/cons of the different homes and look up recently sold comps to help determine a good offer price if they liked one. It's always a good idea to do some due dilligence prior to seeing the property. We always reccomend looking up some info about the property and calling the listing agent. 1) Offers - You want to make sure there are no other offers on the table. If there are, you will need to move quickly. 2) Issues - Are there any issues or concerns with the house? 3) Reason For Selling - It never hurts to ask what is prompting the move. 4) Info about the house - Ask if there is any information about the house that the sellers would want to pass on to your buyers. 1) Call the other agent to check status and seller motivations. 2) Call your clients to discuss their offer. 3) After you have gone over the offer with them on the phone, email them a recap with the offer points for confirmation. You want to make sure you are crystal clear on everything before you type it up. Buyers letter - pulling on the heart strings always helps! 2) Download and save the Realist Tax info. You will need this for the legal description and it is good to have on file for your client. This is accessed through the MLS listing in your Matrix platform. Underneath the image of the house on Matrix is a TX Button. Click that for Realist owner and tax info. Upload into your zipforms client file. 3) Save all suplements. These are the Little paper stacks underneath the image. Download all the files. You will need to have your clients sign the Sellers Disclosure if they have included one. Add these documents to your zip forms transaction. 4) Login to Zipforms and open your clients transaction. 5) Click the "Property" Tab up top. 6) Click MLS Connect. Enter in MLS Login Info. Enter MLS Listing Number. Click "Find". Then click "Import". Click "Save" button up top. 7) Click the "Documents" Tab. Select "One to Four Family Residential" contract from list of documents. Lead Based Paint and Sellers Disclosure. Make sure to select financing addendum if you are financing and above all MAKE SURE TO SAVE. 9) Send to clients for signatures. To do this you will click the "E-sign" button at the top of the page. Click "Sign This Form". Select the parties that need to sign. And then you will prompted on where to place signatures. 10) Repeat stpes for Lead Based Paint and Sellers Disclosure. 11) Once signed, send to listing agent. Make sure to include Lead Based Paint, Sellers Disclosure, and Pre-Approval Letter. Once you have come to terms with the seller, there are a few things you need to do. 2) Make sure YOU enter the date execution page. This is YOUR job as the agent. 4) Introduce Buyers to the title company via email. Let your buyers know that the title company will be their main point of contact for everything legal regarding the transaction and closing. They will handle the terms with their lender and will be responsible for getting clear title, title insurance, the deed, and ordering the survey. 5) Drop off Earnest money to the title company. THIS MUST BE DONE WITHIN 48 hours of contract execution. YOUR CLIENT WILL BE IN DEFAULT if not turned in. 6) Drop off Option Money to the sellers agent or seller. 4. Email Next Steps to Buyers. Critical Dates : Victoria will send over a simple doc with our critical dates and will also send over calendar invitations for each of them. These are important because we want to make sure we are always aware of our timelines and ensure we are always acting within the dates specified on the contract. Checks : The next thing I need to do is connect with you on day to get 1) and earnest check for $amount made out to name of title company and 2) an option check for $amount made out to name of seller(s). I will coordinate dropping these off at the Title Company and the Sellers Agent office. Lender : If working with them already: Now that we have an executed contract, we need to make sure your lender has it and knows that we are in the process of moving forward on a property. I will send them the contract and be in contact with them throughout the process to keep the ball rolling and troubleshoot if any issues pop up. Negotiations : It is normal to have some issues with the house that come up during the option period due to the inspection. This period is also our chance to go back and re-negotiate the price or repairs if we feel like we need any. Once we get the inspection we can make that call as a team and come up with the best strategy on how to move forward. There will ALWAYS be concerns brought up on inspections and if it is an old house there will probably be A TON of things brought up. It's an inspectors job to point out anything and everything wrong with a house. But know, that not everything is cause for alarm or worth fighting for. If a house is used, it will have some deficencies. Your job is to coach your client through what is major and what is minor. For instance some rotted wood on the exterior, minor cracks in grout or sheetrock are not really causes for alarm. However, water damage, issues with HVAC, leaks, and foundation problems are all items that need to be corrected. -Are you getting a deal or market price? If you are already getting a below market price, then do not expect to get very many concessions. If you are paying top dollar, then ask for things to be taken care of. -How motivated is the seller? If the property has been on the market for months, they will likely say yes to more repairs. If its only been on the market for a few days, dont expect to get too much. BUT, it never hurts to ask. There are several things you can ask for during the inspection period and in regards to the inspection. I make sure to always send over the inspection with your "ask" so that you have proof of the things you are asking for. 2) You can ask for the Seller to lower the sales price, but the estimated price of the repairs. 3) You can ask the seller to contribute towards the buyers closing costs. Often this will put more money directly into the buyers pocket so they can pay for the repairs. If you lower a sales price by $1-2k it does not really afect their mortgage. But $1-2k towards closing costs will come directly from the amount they need to bring at closing. Submit your requests to the listing agent and be prepared to compromise. Also tell your clients that they may not get any concessions at all and may need to be prepared to walk away or accept the house as is. 1. 7 DAYS PRIOR TO CLOSING - Email and schedule Final Walk Through with your clients to make sure all repairs were done, the house is in order, and nothing has been damaged. Also remind your clients to set up utilities and make sure their home warranty has been set up (if they are getting one). Meet buyer at closing and celebrate!